This week’s list of data news highlights covers September 15-21, 2018, and includes articles about a wearable patch that can monitor blood pressure, and toolkits that can help identify bias in algorithms. Researchers at Nvidia and the Mayo Clinic have developed a method for using generative adversarial networks (GANs), a pair of AI systems that provide feedback to each other to iteratively improve, to generate realistic images of brains to aid research. Quality imagery of abnormal brains—brains with rare diseases or tumors—is scarce, making it difficult for doctors and researchers to know how to best detect and treat such conditions. The researchers’ method uses one AI system to generate brain imagery with certain characteristics, such as a tumor of a certain size in a certain area, while another AI system evaluates this imagery and provides feedback to the original AI so it can improve. Researchers at the University of California, San Diego have developed an adhesive patch the size of a postage stamp that can continuously monitor a person’s blood pressure. The patch, designed to attach to a person’s neck, emits ultrasonic waves that bounce off a wearer’s blood vessels, while a sensor on the patch records this data. The patch monitors a person’s central blood pressure, which is blood pressure beyond the aorta, which can be valuable for monitoring heart conditions and vital organs. The patch currently needs to be wired to a power source and a laptop to process the data, but is much less invasive than other methods for monitoring central blood pressure, which involve a catheter inserted near the heart. Scientists at New York University have trained an AI system developed by Google to differentiate between two of the most common types of lung cancer with 97 percent accuracy as well as identify a tumor’s mutations just by analyzing a picture of it. After training on annotated images of lung cancer tumors, the AI system, an open-source image recognition algorithm from Google called Inception v3, learned to detect subtle changes in a tumor’s appearance. In contrast, human pathologists are unable to detect and correlate these changes with different genetic mutations. Amazon has developed a machine learning tool called Scout that can help users find products they are interested in based on visual analysis and user feedback. Scout analyzes pictures of products, such as coffee tables or shoes, and based on users’ indications of whether they like a particular product, will show users products with similar looks. Researchers at the Massachusetts Institute of Technology have developed a machine learning system that can identify objects in images based on an audio description of the image. Both speech recognition and object recognition AI systems are common, however they typically require manual transcriptions and annotations for the systems to learn to associate words and objects. The researchers’ system instead learns to associate words in recorded speech with raw image data, an approach that could eventually reduce the time intensive process of annotating and transcribing training data. Google and T-Mobile have partnered to share location data from Android phones with emergency call centers when they call 911. Though landlines can share exact locations with emergency call centers, cell phones can typically only share an estimated location from wireless carriers that can be off by hundreds of yards and is not accurate indoors. In tests, Google was able to reduce the estimated radius of a caller’s location from 522 feet to 121 feet. IBM has developed a toolkit called the Fairness 360 Kit to help users spot signs of bias in their algorithms and provide recommendations to improve them. The Fairness 360 Kit is open-source cloud software designed to integrate with common development frameworks and provides users with a visual dashboard that informs users how different factors are influencing an algorithm’s decisions. A group of civil society and academic institutions focused on analytics, as well as the City of San Francisco, have developed a toolkit designed to help local governments assess how they use algorithms to make important decisions, such as decisions about law enforcement and social services, to reduce the risk of producing undesirable outcomes such as discrimination. The toolkit includes best practices for algorithm risk management, including instructions about how to assess an algorithm’s risk and the impact it will have on a government service, as well as how to evaluate data sources and the methodology of algorithms developed by third parties. New York-based indoor farming company Bowery Farming Inc. has developed AI software to oversee an entire vertical farm. The software, called the Bowery Operating System, fine tunes the operations of farming machinery, determines how much to water each plant, adjusts light intensity, and controls other processes to grow crops more efficiently. Vertical farms, which are indoor farms that stack growing areas on top of each other to better utilize space, are already much more productive than traditional farms, but by using AI to manage the farm, Bowery says its farm is over 100 times more productive per square foot than a traditional farm. An international team of scientists have developed a forensic tool that can map the paths of ivory shipments as they pass between cartels and into different countries. The tool analyzes elephant DNA extracted from ivory seized by authorities, which can help determine where an elephant was poached, as well as how distribution networks operate if tusk pairs are separated and recovered at different locations. 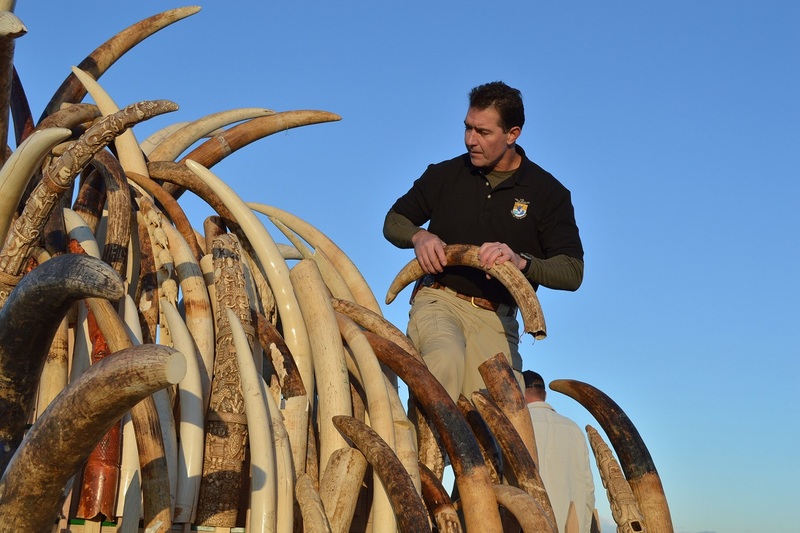 This information can help authorities better identify poaching hotspots and serve as valuable evidence in criminal investigations into ivory cartels.